We told you in September 2012 that Obama associate Daniel S. Mahru would receive a sentence of probation instead of jail time for his silence. After delaying the inevitable for 18 months, the U.S. Department of Justice has proven IP2P right once again by sentencing Mahru to probation. Illinoispaytoplay.com (IP2P) has learned that Daniel S. Mahru, former business partner of Antoin "Tony" Rezko, made a deal with the Department of Justice (DoJ) for his silence. IP2P is also investigating the circumstances surrounding meetings that took place where Daniel T Frawley and Daniel S Mahru (both convicted felons) met with author Jerome Corsi in Chicago to discuss secret meetings between Barack Obama, Nadhmi Auchi, Tony Rezko, (now Governor) Pat Quinn, and others. Mahru is unwilling to talk about what was discussed at those meetings. Could that have anything to do with his probation deal? The DoJ and (now former) U.S Attorney Patrick Fitzgerald protected Eric Holder, Barack Obama and a host of other criminals that occupy high offices in our state and federal government. Brenda J Elliot at rbo2.com recently posted an article suggesting how important Mahru’s silence is to the DoJ. Where's that special prosecutor when you need him? The real question is why announce Mahru's probation now? Well, because it's time to tie up all those loose ends. So, the only announcement left that Eric Holder's Dept. of Justice needs to make is Rod Blagojevich will be released early from prison. In other words, it's time to complete the "deal" that will insure Blago's continued silence. And remember, the Chicago way is not just "who you know". It's also "what you know about who". 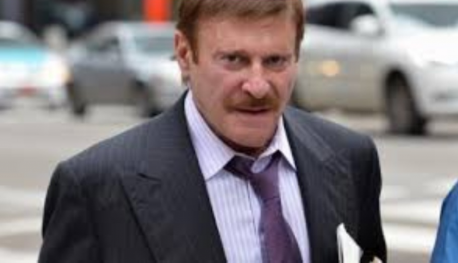 Was giving “FBI informant” John Thomas TIF money legal? 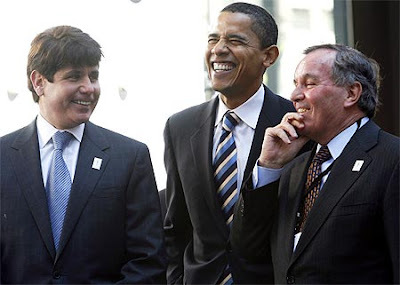 » « Blagojevich attorney caught on wiretap fixing case!